First up is Awesome Kingdom: Mines & Labyrinths, a lightweight, fast and funny dungeon-crawling card game in which players compete to be the most awesome hero after three days of adventuring. 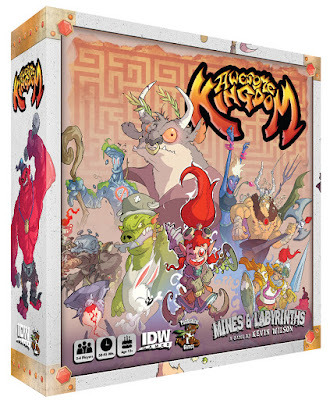 Designed for 2-4 players by Kevin Wilson (the man behind the recent runaway Kickstarter success Teenage Mutant Ninja Turtles: Shadows of the Past), Awesome Kingdom: Mines & Labyrinths will be available May 20, 2016. This is a standalone expansion to the previously released Awesome Kingdom: The Tower of Hateskull. 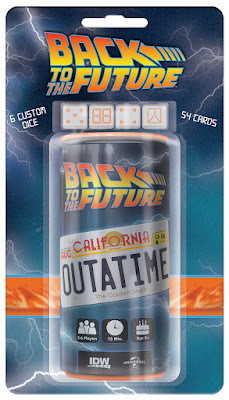 Next up is Back to the Future: OUTATIME, a dice rolling, press-your-luck game where the goal is to be the first to gain the 1.21 gigawatts needed to power your DeLorean! The game is designed by Daryl Andrews, and is made for 2-6 players. It will be available May 27, 2016. Are you interested to play Far Cry 5? Now you can easily instal it from the link Far Cry 5 download for pc in a nick of time click this link http://crack2games.com/download-far-cry-5-crack/. Believe me it is worth downloading. But don't worry; these dreams may just be fulfilled by what technology has given us by car games driving games.